So much to share, so little space. Mom and Dad moved into their new house two weeks ago…and are busy getting everything unpacked and organized. It’s really coming together, and they are very happy. Mom has been in Ohio for business the last couple days, so we’ve been hanging out with Bud. I go over there in the morning for coffee. This morning he surprised me with breakfast… which was nice. Last night, we went to a meet and greet with their new neighbors in the park. A little awkward, but free pizza. Bud kept walking toward some guy he insisted on meeting. He called him the serial killer, because he said he has beady eyes. We never did meet that fellow, and I hope he never reads this blog. 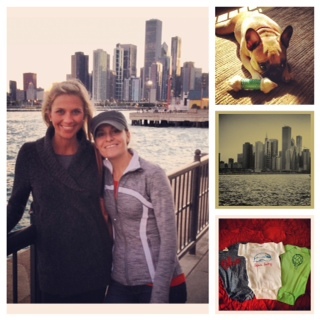 A couple weekends ago, I went to Chicago to visit my best friend, Lisa! We had a great time… shopping, visiting, and eating some fab food. We also bought some of Baby Bean’s first outfits. Including an amazing onesie that says BEAN BABY. And of course, broccoli with fangs. 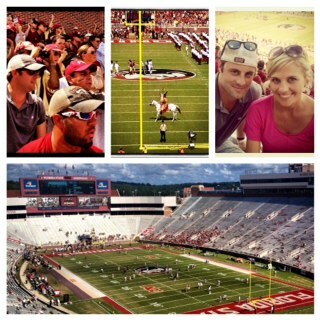 Last weekend, Jeff and I traveled with the Radice’s to Tallahassee, Florida for our first Florida State football game. Gorgeous city, fun campus, great game. I think it’s safe to say, we will be back again next year with Bean… wearing headdresses and war paint. In between those trips, we had our 20 week appointment. It was Jeff’s first time at the doctor. 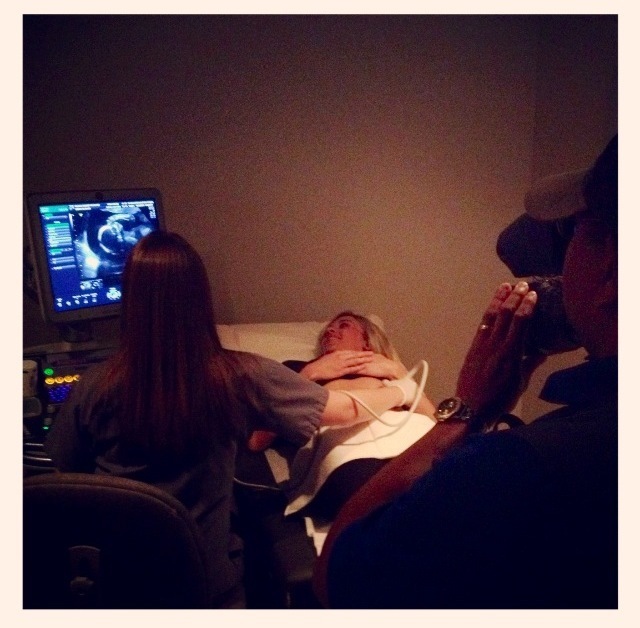 We also brought a camera in to shoot my Mommy-To-Be segment. (I will post that under the “Pregnancy Diaries” tab.) Everything is healthy and our baby is perfect…in our eyes. Seeing the baby really makes everything real. We heard the heartbeat, and Bean was very active! The doctor said everything looks great, and Bean is measuring a little big, so they moved my due date up a week to January 24th. No complaints here! As for the gender reveal… leading up to this appointment, I had second thoughts about wanting to be surprised. I guess because we couldn’t know the gender before this point, it didn’t really matter to me. But, once we were at the doctor… I kind of wanted to know. I asked the tech if she knew… she said yes. But, after a few minutes of watching our baby move around, I realized I could care less if it is a boy or a girl. Our baby is healthy, and that is more than enough for me. It’s fun shopping for gender neutral items. We’ve decided to go with a lamb theme in Bean’s room. 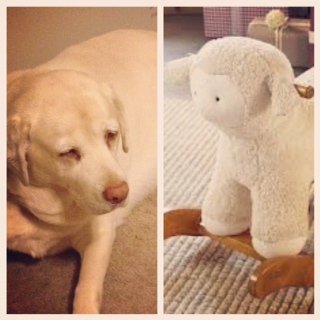 I was picking things out for our registry online… when suddenly realized our dog, Amelia, looks like a lamb! I hope this doesn’t cause mass confusion for Bean in the near future.